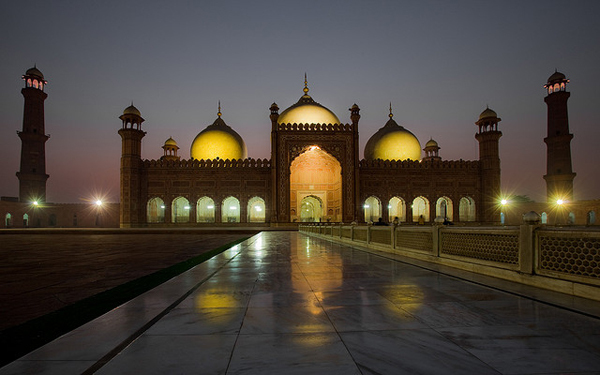 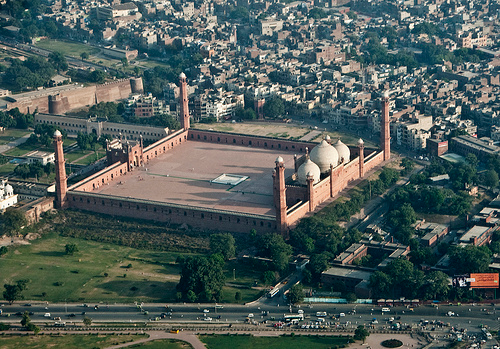 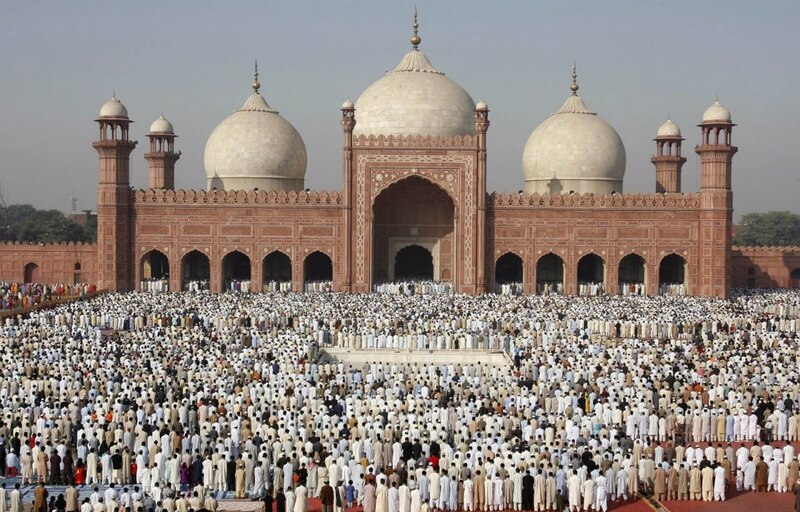 The Badshahi Mosque construction work was carried out under the supervision of Aurangzeb’s foster brother, Muzaffar Hussain (also known as Fidai Khan Koka), who was appointed Governor of Lahore by Aurangzeb in May 1671 to specifically oversee the construction of the mosque and held that post until 1675. 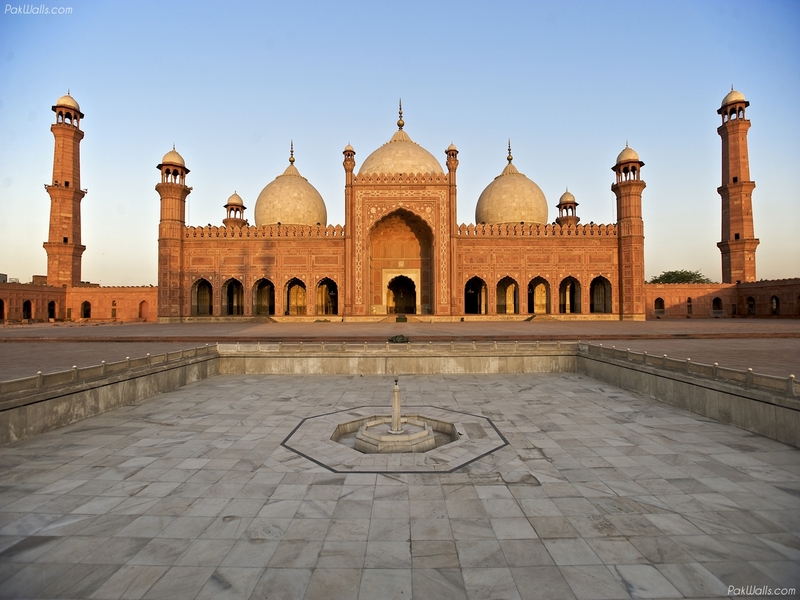 He was also Master of Ordnance to Aurangzeb. 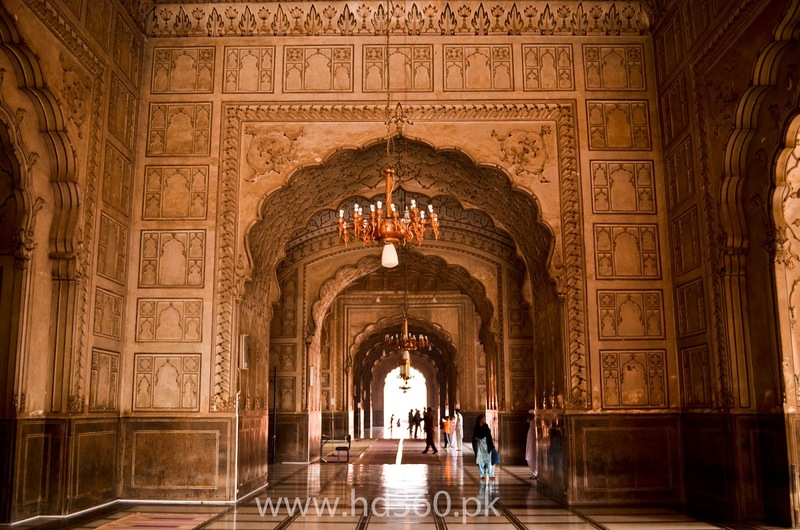 In conjunction with the building of the Badshahi Mosque, a new gate was built at the Lahore Fort opening into the Hazuri Bagh and facing the main entrance of the Badshahi Mosque, which was named Alamgiri Gate after Aurangzeb.